UPDATED Aug. 28, 2 p.m.: Even as the nation’s retail market struggles amid store closures and the onslaught of online shopping, South Florida is still attracting new retailers to its high streets and shopping centers. Retailers have recently signed leases for space on Lincoln Road and Collins Avenue in Miami Beach, as well as at the Royal Poinciana Plaza in Palm Beach, according to sources. And Anthropologie just opened its new 12,000-square-foot Miami Beach flagship on Friday. Meanwhile, Sears Holdings last week announced it will close 28 Kmarts, including one in South Florida, at 900 North Miami Beach Boulevard in North Miami. It will shut its doors in mid-December. On the brighter side, here’s a round-up of some of the newcomers. Bluemercury, a beauty store, is planning to open Sept. 22 at 1109 Lincoln Road, in the ground floor of the 1111 Lincoln, the building the German institutional investor Bayerische Versorgungskammer bought for $283 million last month. The 2,500-square-foot shop will also feature a spa, according to a spokesperson. Led by co-founder Barry Beck, Bluemercury is planning to further expand in South Florida, opening stores at Mizner Park in Boca Raton and in Coral Gables, the spokesperson said. Just off Lincoln Road, Anthropologie debuted its new two-story shop at 1654 Meridian Avenue in a building developed by Terranova Corp. The store held an opening party Thursday night. Two retailers plan to open in the Collins Avenue shopping district in the next several months, in buildings owned by Goldman Properties. LF Stores has leased 1,715 square feet at 638 Collins Avenue, with plans to open by the end of the year, according to a spokesperson for Goldman Properties. The fashion retailer has locations throughout the United States, including in Fort Lauderdale, New York, Los Angeles, Boston and Dallas. The Australian surf brand Rip Curl also will open a flagship store at 660 Collins Avenue in early 2018, the spokesperson said. The 2,195-square-foot store will occupy Vidal Sassoon’s previous space. The new stores will be near the new H&M, which opened in April at 763 Collins Avenue. The 15,000-square-foot space was formerly the site of a Kenneth Cole store. Market rents on Collins Avenue range from $110 per square foot to $125 per square foot, according to Cushman & Wakefield’s Frank Begrowicz. 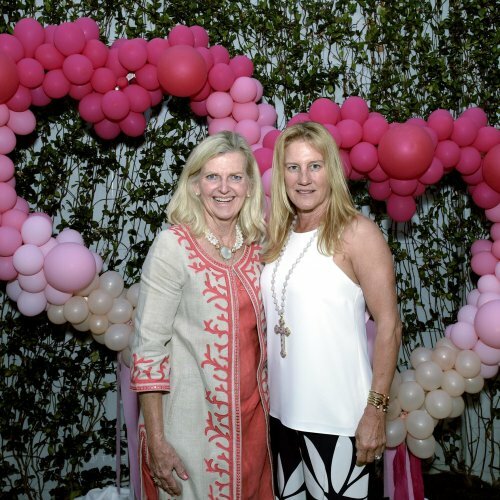 Royal Poinciana Plaza, at 340 Royal Poinciana Way in Palm Beach, announced a dozen new brands that will join the shopping center this fall. The openings will bring it to 95 percent leased, according to a spokesperson. The brands include Saint Laurent; Magasin; Collective; Valentina Kova; Celis Produce; Cynthia Rowley; Virginia Philip Wine, Spirits & Academy; St. Frank; Vespa; Paul Labrecque Salon and Spa; Big Flower; and Theory. The 180,000-square-foot open-air shopping center, whose lease is owned by a division of Boston-based WS Development, recently completed renovations. 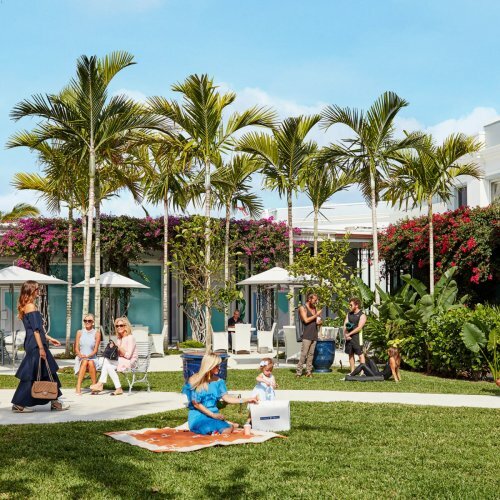 Other previously announced stores and restaurants scheduled to open at Royal Poinciana this fall include Hermès, Kirna Zabête, 100% Capri, Assouline, BEACH, Bognar & Piccolini, Coyo Taco, Cremieux, Rani Arabella, Serenella, The Honor Bar @ Palm Beach Grill and the Palm Beach Bicycle Trail Shop.